The U.S. Air Force has announced the awarding of launch contracts to Elon Musk’s SpaceX and rival United Launch Alliance. SpaceX’s firm-fixed-price contract totals $290,594,130 while ULA was awarded a firm-fixed-price contract worth $354,811,947. 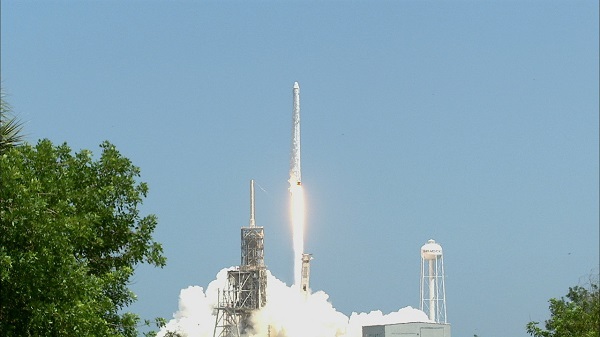 “This contract provides launch vehicle production, mission integration/launch operations/spaceflight worthiness and mission unique activities for a GPS III mission, with options for two additional GPS III launch services,” the Air Force said about the SpaceX contract. ULA’s contract is for the launch of the AFSPC-8 and AFSPC-12 satellites to geosynchronous orbit. This is worded a bit strangely/unfortunately, since it could be read to imply an absurdly high launch price for the Falcon 9. Those 290 mil $ are actually for 3 launches, since that sum already includes the 2 “optional” launches. direct birds. Judging by both contract award sums, it is pretty evident by this point that competition in EELV procurement was a pretty good idea. Strange wording is a government core competency. In plain English, SpaceX will launch three GPS birds for Uncle Sam and, on each one, even allowing for all the special services, procedures and pallets of paperwork involved, Uncle will still get change back from a $100 million bill. Two GEO missions by ULA will cost almost twice as much apiece. These will, one presumes, be medium-to-high-end Atlas V missions. Were they Delta IV Heavies, the quoted price might not have covered even one of them. That said, the cost for the ULA launches is lower than what one would expect, given past ULA launch pricing. Still too high, but Tory Bruno’s cost-cutting war – done admittedly under pressure from SpaceX – has borne some fruit. This also went as expected. Almost 97$ million a launch seems a bit hefty for a F9 launch when SpaceX advertises the FH for just $90 million. BUT considering all the likely (paperwork) overhead involved for a government launch that also has to deal with the military side of things, I guess this still is a pretty good deal for Uncle Sam. 1) a spacecraft as well as a launcher. 2) the ability to modify the payload manifest up to nearly the last minute including loading of things like live critters. 3) the time of some unknown number of SpaceX personnel 24/7 for as long as Dragon is in orbit. 4) an ocean recovery and multi-step logistics process for returned payloads including both live and dead critters. USAF needs none of these expensive extras yet still manages to impose nearly half as much in added costs per mission. If USAF really wants to put the fear of God into the nation’s enemies, it shouldn’t muck about with half-measures like the MOAB (Mother of all Bombs), it should threaten to dump copies of its own mandatory launch mission paperwork on them. Technically MOAB stands for Massive Ordinance Air Blast, technically…. In the same way BFR is Big “Falcon” Rocket.